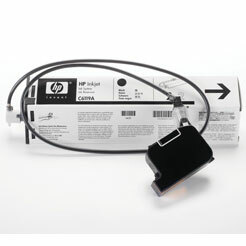 The best innovation in HP technology over the past several years has been the ink and related ink delivery systems. 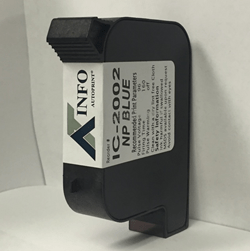 There are 2 main ink types available from AT Info: inks for porous applications, and inks for non-porous applications. 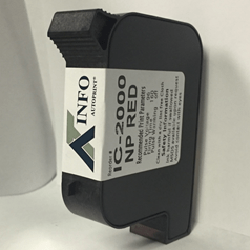 In addition, the inks are available in disposable inkjet cartridges or in a larger ink management system. Inks for porous packaging surfaces have been available the past 2 decades. The inks are either water-based or dye-based, and come in black and spot colors (red, blue, green, and more). 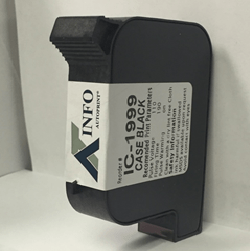 IC1999 is particularly effective for corrugate cartons and cases. 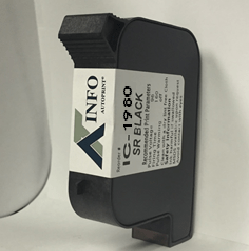 The ink dries quickly, is dark enough to yield good contrast for barcode readability, and is very durable over the long haul. The porous inks are delivered via the 45a disposable cartridge and bulk containers too. 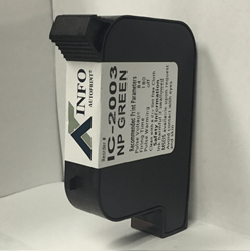 Inks for NON porous surfaces were released approximately 4 years ago in the 45si cartridge. These inks dry on a range of non porous surfaces including foil, film, hard plastic, glossy boxes, and more. As compared to the porous inks, the non porous variety jets farther (up to 5mm with good print quality). Consider HP 2580 black solvent (B3F58B) for most non porous applications. Cost per code is paramount for every manufacturer who’s trying to keep their internal costs down. 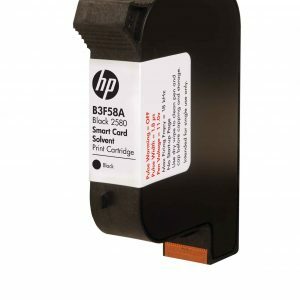 The most effective way to lower cost with HP inks is to check the viability of using a bulk ink management system. 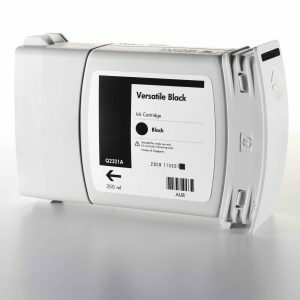 Going from a 40ml disposable cartridge to a 400ml bulk ink / printhead configuration results in major cost savings for the customer. 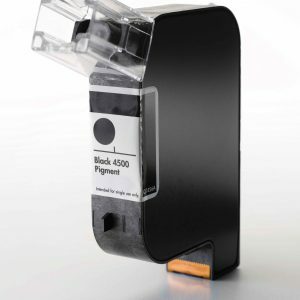 The 4500 Black Bulk Ink System continues to be a low-cost workhorse for many packagers across the globe. It’s easy to install, use and maintain, and the overall cost equation is very competitive. 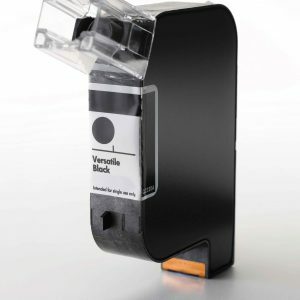 Now, the same product is available with HP smart card for customers who value the associated benefits: authentication, automatic settings on coder, and ink level sensing. We offer several different stretch wrappers depending on the customer’s requirements. 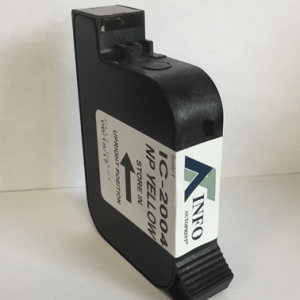 From the more manual Hercules model for low-volume wrapping, to the Leonardo for up to 100 loads per day (on same battery), AT Info has a solution for you. And don’t forget about the Cosmo model for odd shapes and sizes of palletized products. 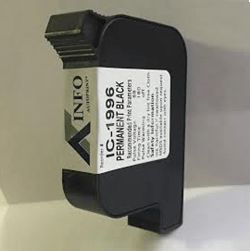 The 350ml bulk ink supply tanks and related printhead connectors are perhaps the most widely deployed. These ink tanks can be installed two at a time with an automatic ‘swap’ when one becomes empty, thereby allowing production to continue when supplies are exchanged. The 350ml bulk is very robust and can handle a wide range of packaging environments including dusty operations. For even greater savings, customers can opt for a 800ml bag in a box for those porous applications that are so common in packaging. Send a message to AT Info with questions about these larger units. 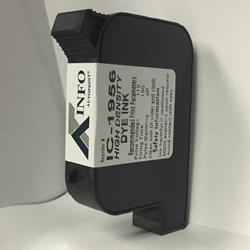 Lastly, AT Info now offers a Bulk Solvent solution which is the first of its kind. The new unit holds 400ml solvent ink plus an additional amount for the printhead. 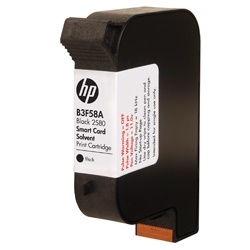 HP Smart Card is also included in the Bulk configuration to provide even greater benefits for the customer. 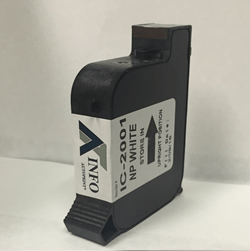 The printhead cartridge is automatically filled by the tank during printing so production is not compromised.